Along the Trace | RV There Yet? 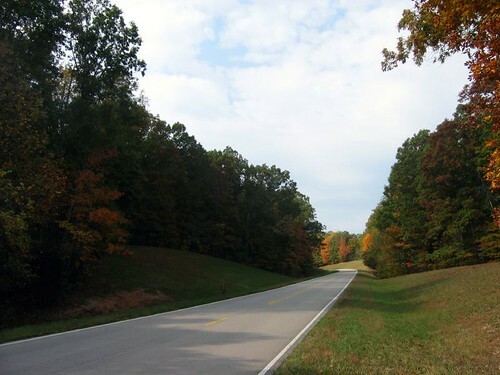 The 444-mile Natchez Trace Parkway commemorates an ancient trail that connected southern portions of the Mississippi River to salt licks in today’s central Tennessee. Over the centuries, the Choctaw, Chickasaw and other American Indians left their marks on the Trace. 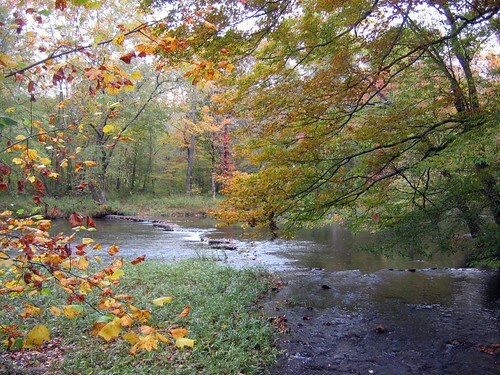 The Natchez Trace experienced its heaviest use from 1785 to 1820 by the “Kaintuck” boatmen that floated the Ohio and Miss. rivers to markets in Natchez and New Orleans. They sold their cargo and boats and began the trek back north on foot to Nashville and points beyond. Today, visitors can experience this National Scenic Byway and All-American Road through driving, hiking, biking, horseback riding and camping. Lots of history and a very beautiful drive to boot! Here’s the road at mile 399…. And here is just one of the scenic spots along the way…..
…the first major battle in the Western theater of the Civil War. The two-day battle, April 6 and 7, 1862, involved about 65,000 Union and 44,000 Confederate troops. This battle resulted in nearly 24,000 killed, wounded, and missing. So many men lost their lives there. A very poignant visit. The day was cool and a little drizzly – and it’s supposed to go down to the 40’s tonight. That down comforter will be just what the doctor ordered!